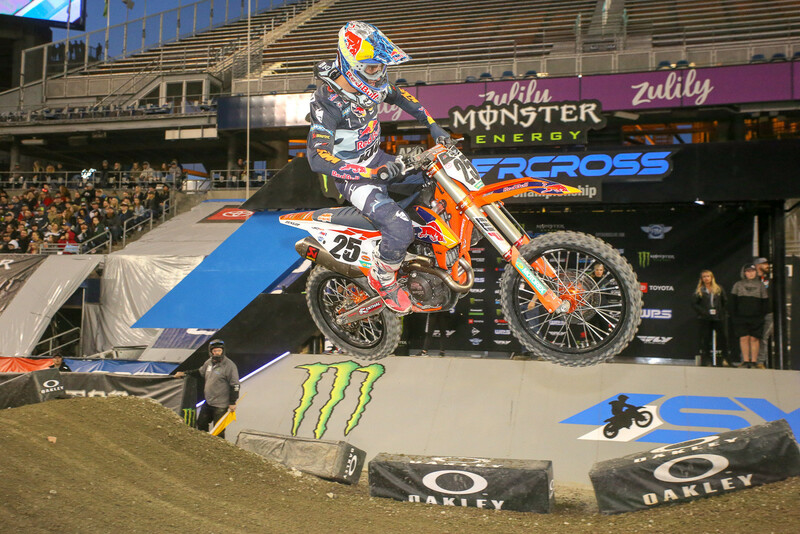 The Seattle round of Monster Energy Supercross was the twelfth race in as many weeks, and it appears to be wearing on everyone. Cooper Webb is fighting through a small slump during his quest to complete his redemption story. Marvin Musquin is finding his stride and looking to finally close the deal on that elusive 450 championship, but he might want to take a closer look at the caution flags. On the other hand, both Eli Tomac and Ken Roczen look tired and frustrated. 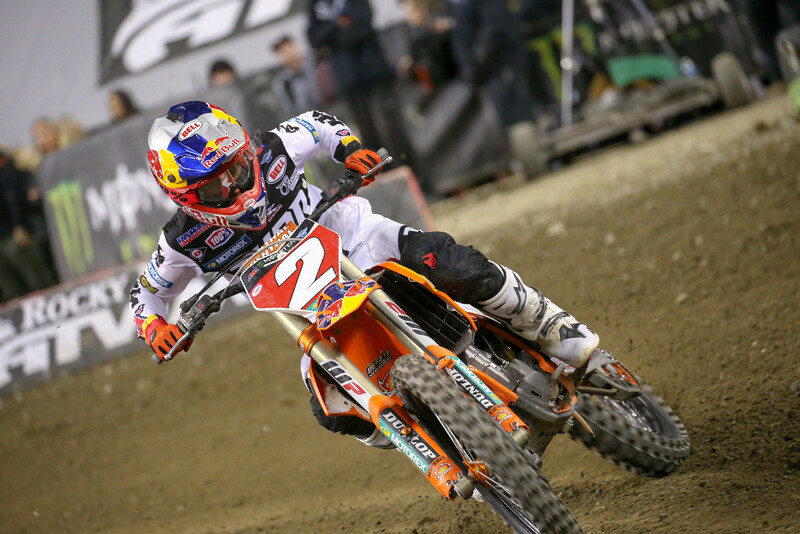 Roczen has said he's felt flat and tired on occasions. He said it’s improving, but he isn’t 100%. With Roczen, I can’t help but look back to San Diego when he suffered the Lime burns. He said antibiotics were necessary to treat the burns, but I cannot help but wonder if that, combined with stress has brought on Epstein-Barr or some other type of Chronic Fatigue Syndrome. The issues surrounding Roczen are both on and off track. In addition to the crushing defeat at Dallas, he has been dealing with Blake Savage’s life-changing injury. Blake is Roczen’s trainer, friend, and brother-in-law. Roczen is one of the mentally strongest people to ever race Supercross. Coming back from his injuries took a mental strength beyond what most people can fathom. But being at the track when Blake suffered catastrophic injury has to weigh on his mind. Stress is the leading cause of Chronic Fatigue Syndrome, and I have to wonder if his body is starting to show the effects. Eli Tomac looks frustrated, and at the post-race press conference at Seattle, he appeared annoyed. Normally Eli is stoic and has an expressionless face that would make professional poker players jealous. At the Seattle press conference, he walked aggressively toward his seat and his normally confident answers sounded shaky. Monster Energy Kawasaki Crew Chief, Mike Williamson, had recently left the organization. It seems like both sides are sticking to the story that Mike was tired of the travel, but often when something like this happens during the middle of a season there is more to the story. Eli isn’t signed for 2020 and don’t be shocked if he ends up on a different team. Kawasaki has to be thrilled with Joey Savatgy’s rookie season, and with Adam Cianciarulo really wanting to move up to the 450 class things could get interesting. Now to the drama of last Saturday night. It seems like once or twice a year AMA/FIM official John Gallager finds himself front and center when rules get broken and decisions need to be made. I've been extremely critical of Mr. Gallager for inconsistent rule enforcement, but in Seattle, he got everything right. First, it was in the 250 LCQ when Mathias Jorgensen was forced off the track by Chris Howell. 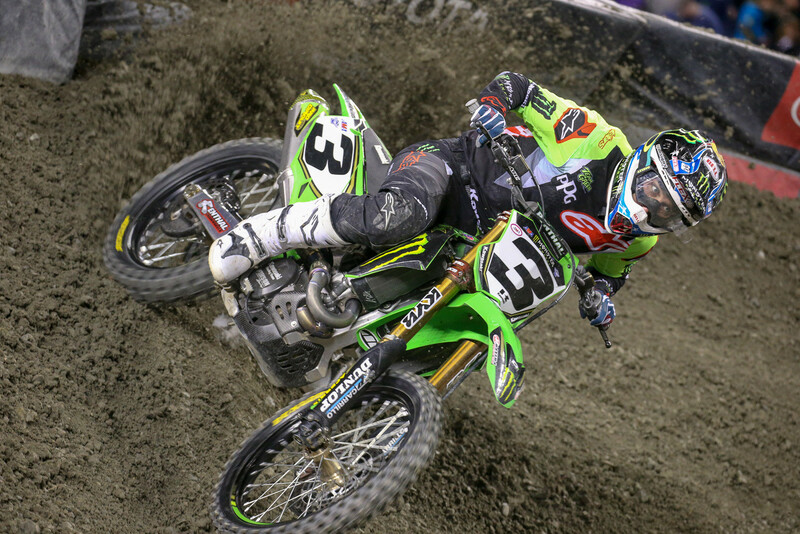 Jorgensen proceeded to skip the triple and re-enter the track in front of Howell and the argument NBC announcer Ricky Carmichael made was that he didn’t advance his position and re-entered in a safe spot. My response to that is when did Supercross start giving mulligans? Can riders fake a mistake and go around the whoops as long as they don’t gain a position? Also, Jorgensen went around the triple at full throttle. It was unfortunate, but Gallager got it right. This rule needs to be re-written to include a penalty for leaving the racing surface, maybe a stop and go penalty or a time penalty for leaving the racing surface? 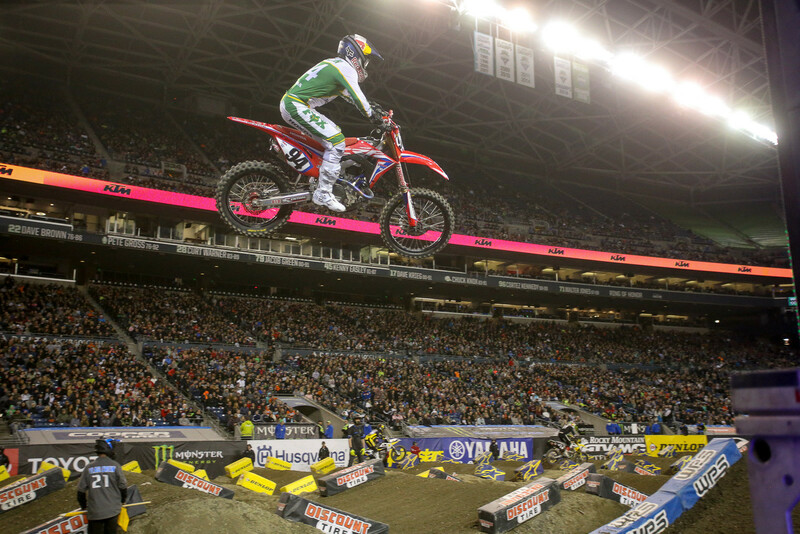 The other rule violation was by main event winner Marvin Musquin, as he clearly jumped when a flagger was waving the red cross flag. This is affectionately called the Dungey rule, as Ryan Dungey was stripped of a win for this same infraction at the Detroit Supercross in 2016. This rule was changed at the end of 2016 to allow riders to keep the win and be penalized championship points. Once again, Gallager got it right. It’s popular to criticize the officials when they make mistakes, and nobody likes referees! But in this situation, they made the right call. Heading into the last five rounds of 2019 I have no idea what to expect, can Marvin catch his training partner and Red Bull KTM teammate, Cooper Webb? I can’t help but think training during the week is going to get extremely awkward. If one guy feels a cold coming on, would he intentionally infect the other? It wouldn’t be hard to “accidentally” sneeze in the other guy's direction. Will Roczen or Tomac get in there and play spoiler? Five races are an eternity in Supercross, and with Webb in a slight slump who knows what lies ahead. Chris Cooksey is life-long motocross enthusiast, racing professionally in arenacross, motocross, and supermoto. Chris obtained his degree from Arizona State, majoring in business and communications. After college, Chris immersed himself in the business and social media aspects of the industry. Chris enjoys sharing his opinions. Sit back and enjoy the view from his perspective. ASK THE MXPERTS: IS MXA GOING TO PUT THE KTM 350SXF IN THE 2020 450 SHOOTOUT? Why the rule is written the way it is, why the ruling took as long as it did, and more.